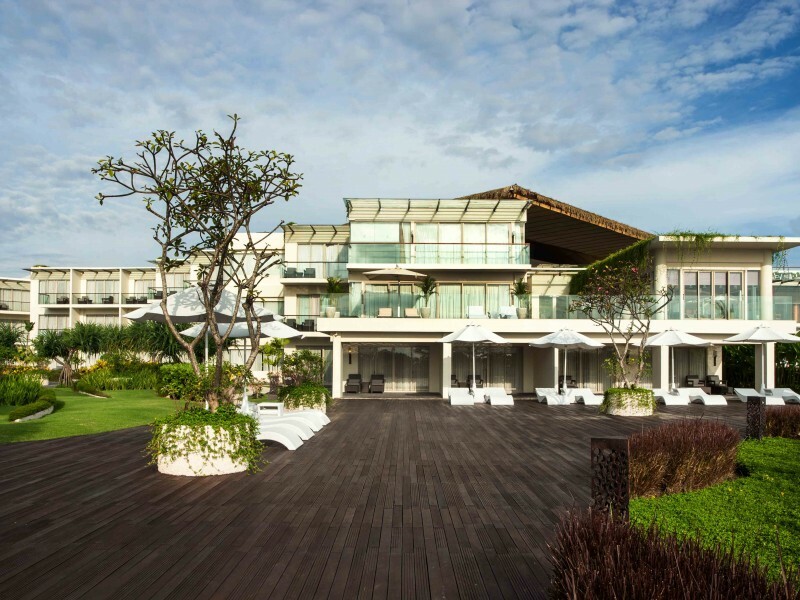 At Sheraton Bali Kuta Resort, each of the guest rooms and suites feature a spacious balcony with views of Kuta Beach and the Bali Strait. 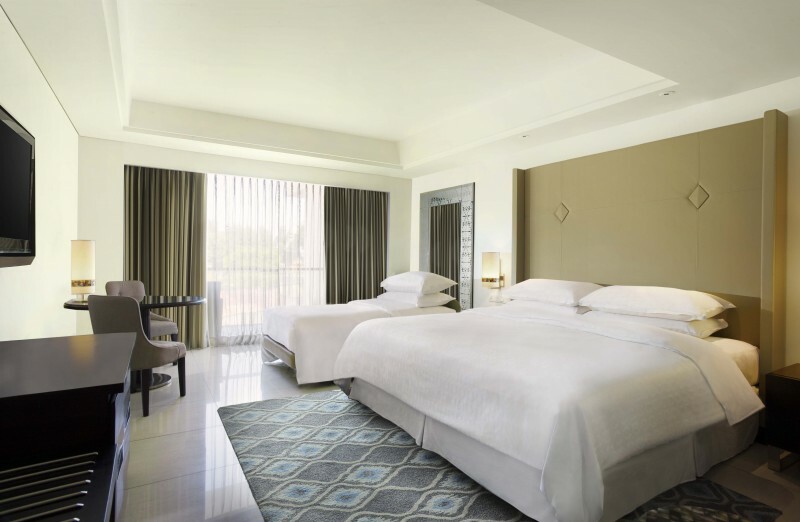 Your comfort is our priority and all rooms are equipped with the amenities and familiar touches you will need for a relaxing and memorable stay including the famous Sheraton Sweet Sleeper® Bed. 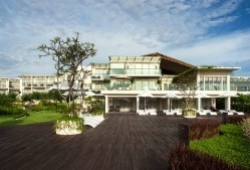 Sheraton Bali Kuta Resort is considered home to many of the finest restaurants in Kuta. 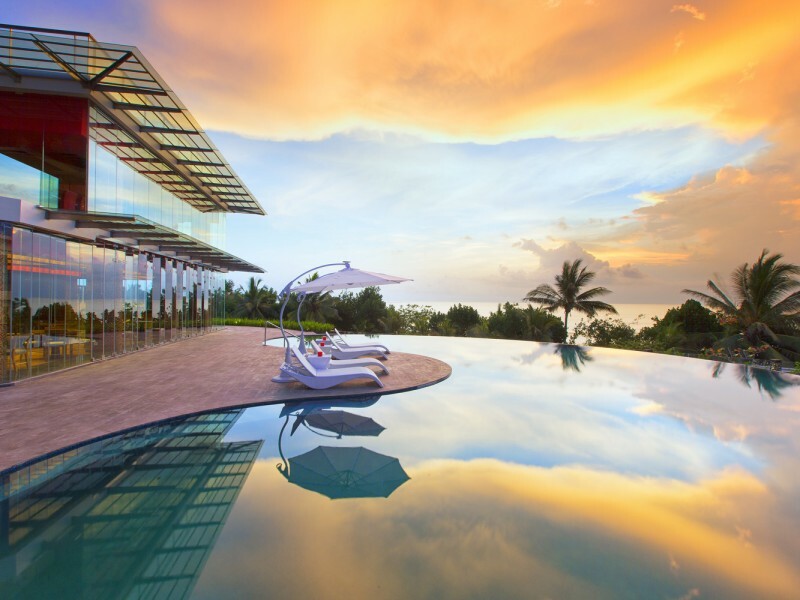 Our team of culinary experts are inspired by Bali’s fresh ingredients and herbs. 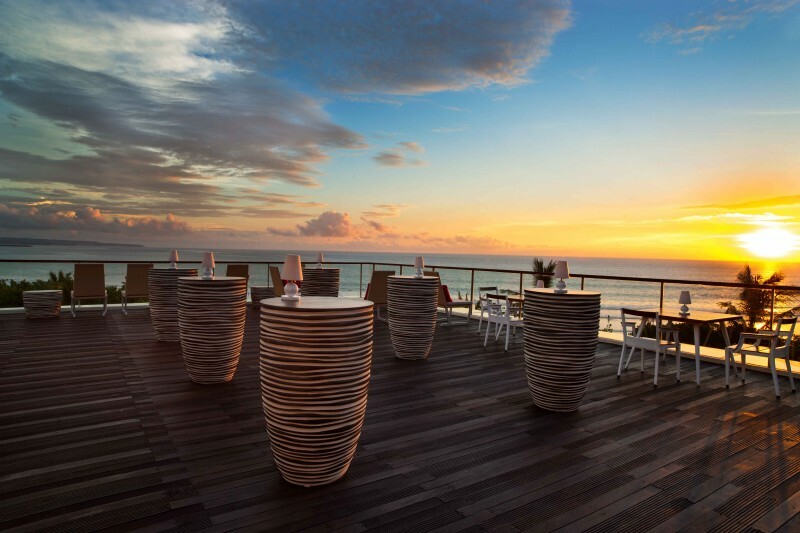 We present the finest in dining and lively entertainment right in the heart of Kuta. 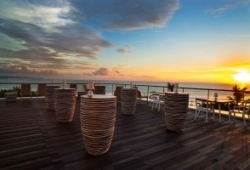 Located alongside Beachwalk shopping mall, amid a bustling atmosphere and only steps away from the famous Kuta Beach. Creating unforgettable memories is our priority. 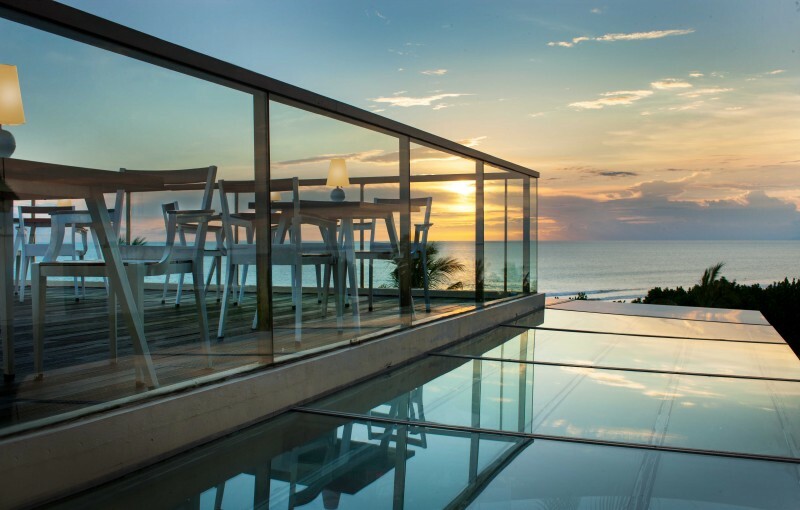 Whether you want to stay busy or relaxed, our inviting facilities will always meet your needs. 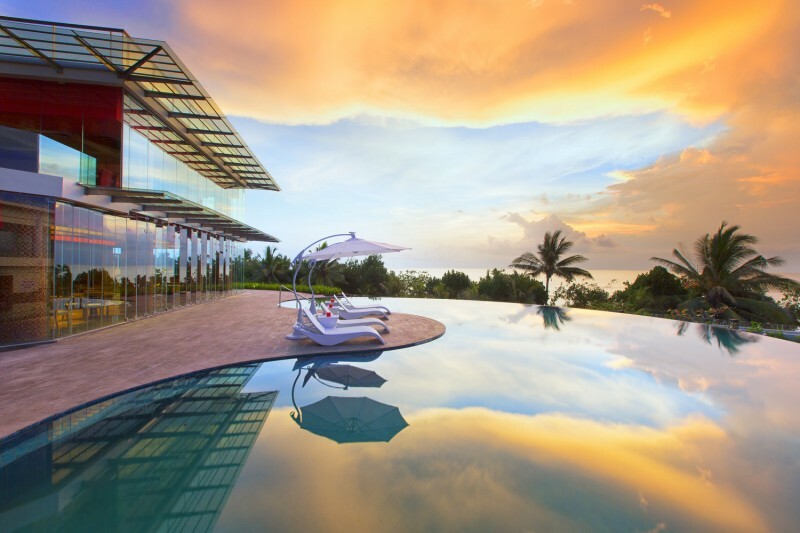 Rejuvenate at Shine for Sheraton™, stay healthy with Sheraton Fitness®, be refreshed at our infinity pool or easily plan and print your business itinerary at Link@Sheraton. 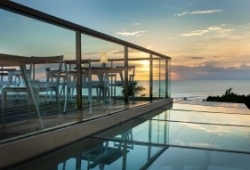 Our Family Deluxe Ocean View Room is designed to make traveling with family fun and easy. 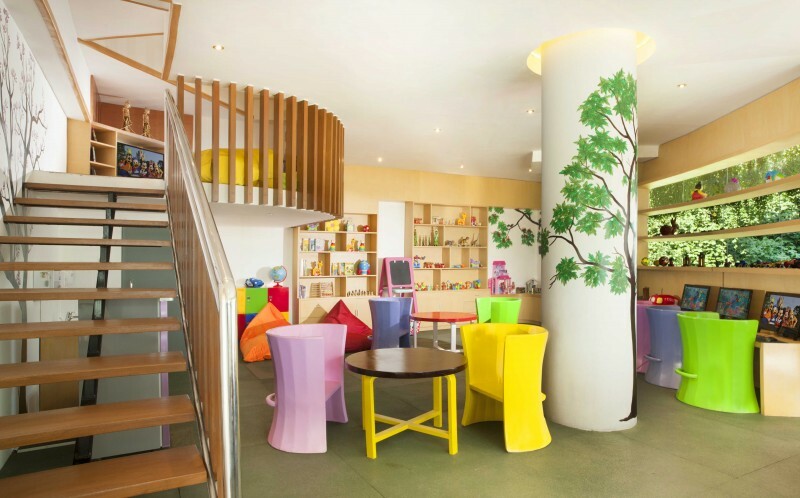 The two rooms are connected by a foyer where the little ones can have their own space to play. 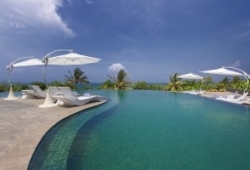 Featuring private terrace/balcony with endless views of the Indian Ocean. The room offers privacy, allowing renewal time alone or together with space for both children and adults. Ideal for family bonding, this space is home to cozy beanbags, a mat suited to playful soft toys, and 37-inch TV with over 61 channels sets the stage for movie time. 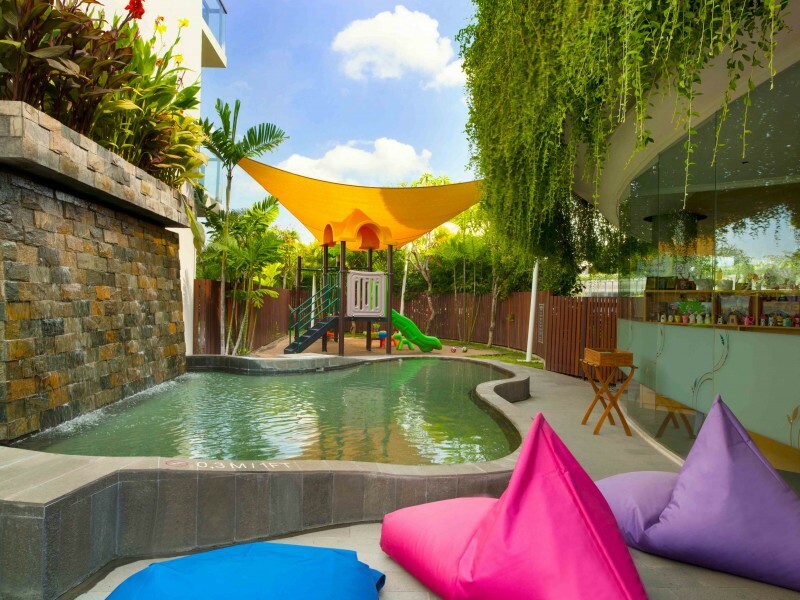 Special amenities are set up for the comfort of each young guest. The Family Deluxe Room at Sheraton is great fun for kids and great value for parents. 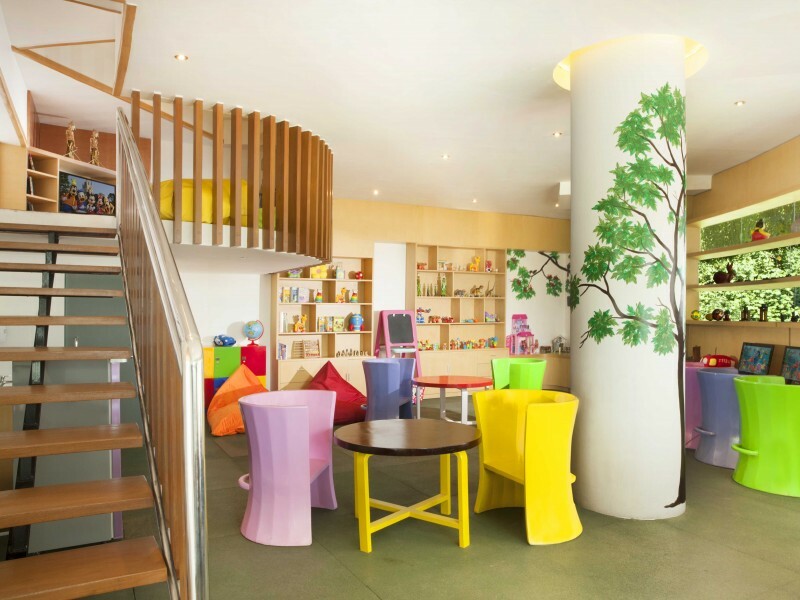 The two rooms are connected by a foyer where the little ones can have their own space to play. Featuring private terrace/balcony with endless views of our Social Courtyard. The room offers privacy, allowing renewal time alone or together with space for both children and adults. Ideal for family bonding, this space is home to cozy beanbags, a mat suited to playful soft toys, and 37-inch TV with over 61 channels sets the stage for movie time. 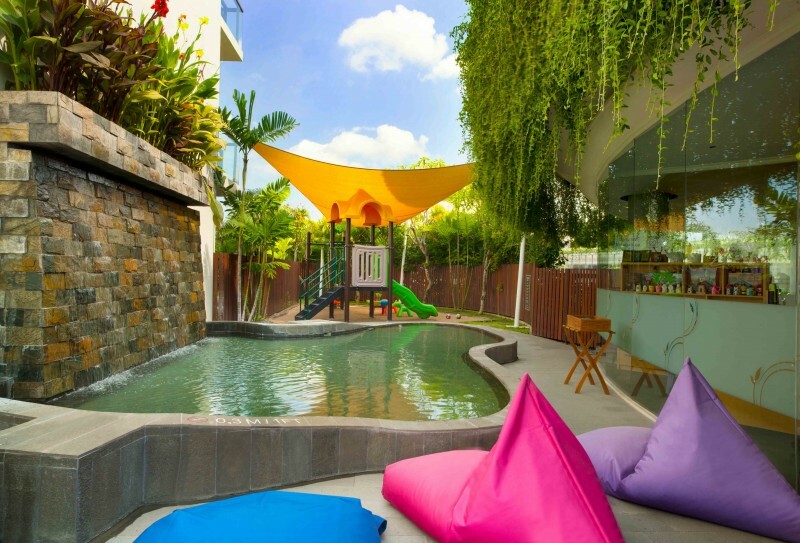 Special amenities are set up for the comfort of each young guest. 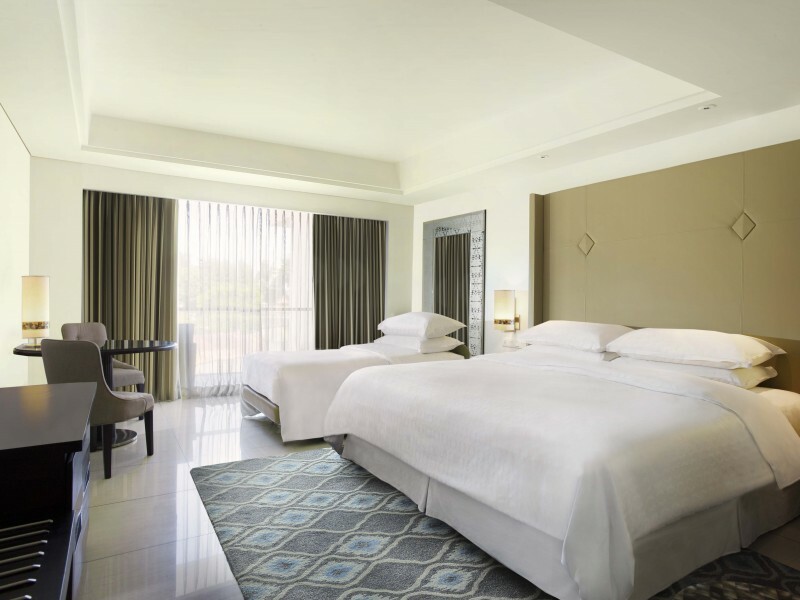 All deluxe rooms features a king-size or double Sheraton Sweet Sleeper® bed, a spa-inspired bathroom finished with a mother of pearl shell, a free-standing rain shower and deep soaking tub, together with deluxe bath amenities. Sleeps 2 adults & 1 child. 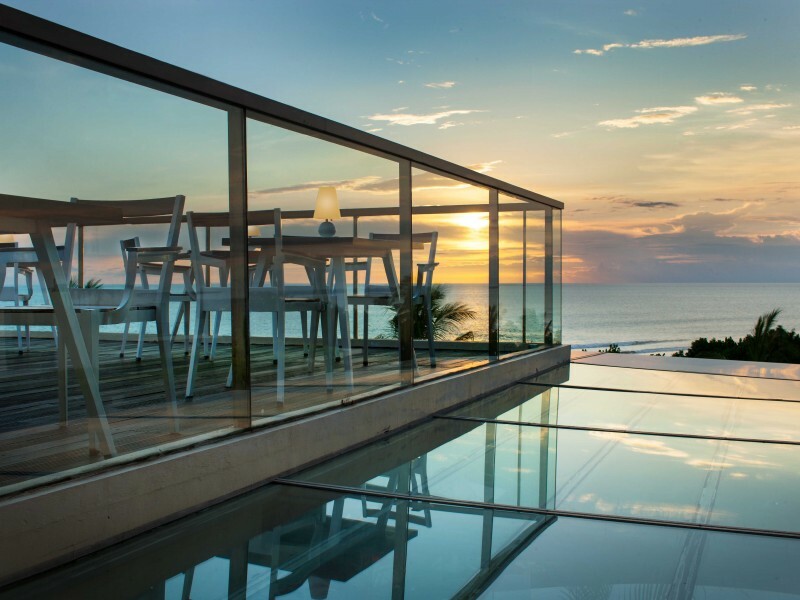 Depending on the room type you select the view ranges from courtyard view, to glimpses of the ocean to full ocean view. 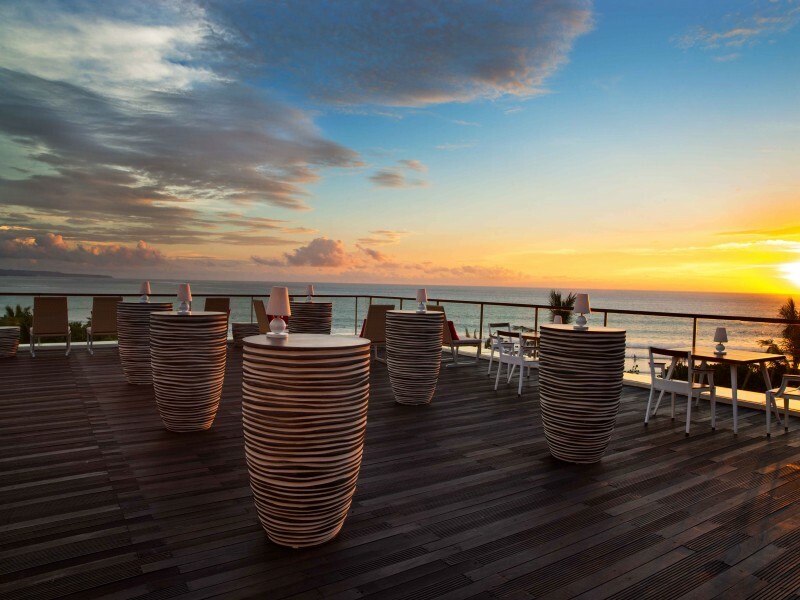 The Presidential Suite hotel room found at our Bali luxury resort is a one-of-a-kind experience that offers breathtaking views of the Indian Ocean and Kuta Beach, with an elevated view from level 2 of the resort. 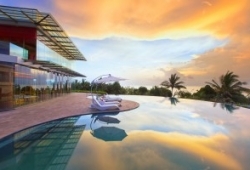 Every element of the suite is designed to reflect Balinese culture. 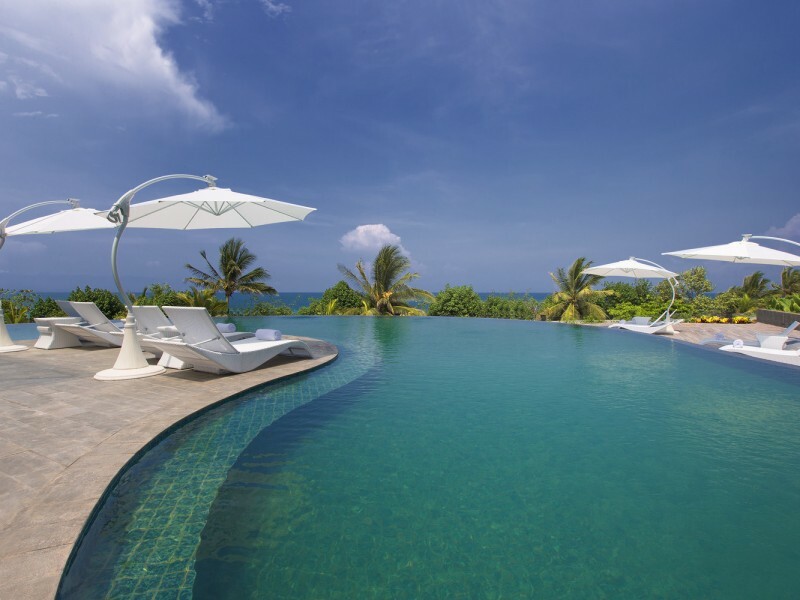 Laze around in the sun on the private sundeck complete with a private plunge pool. 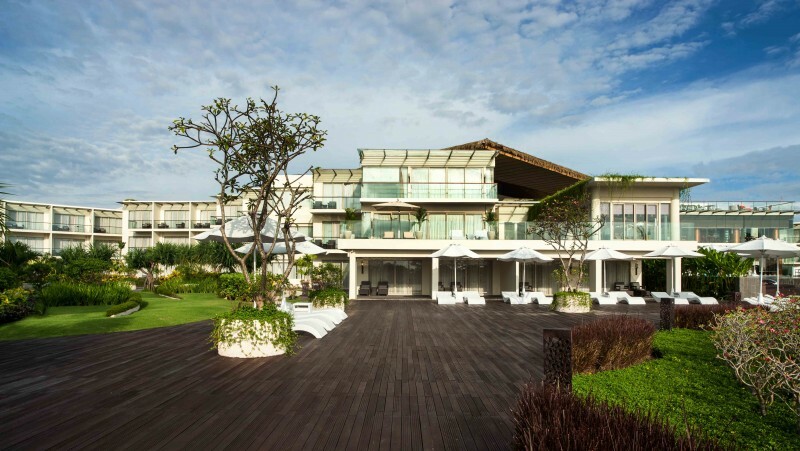 The Lembongan Traveller and Sheraton Bali Kuta have joined forces and created two options for day use packages, exclusively for you. Whether you want to go on a shopping spree in the premium shopping mall next door (Beachwalk Shopping Centre) or prefer to relax with a cocktail poolside and a massage before taking your flight, we’ve got it all covered.